Accountants remain in high demand, with job opportunities for them increasing in every sector of the economy. Many people view accountants simply as people who do a lot of math and act as “bean counters” who keep financial records and tell company and organization departments how much they can spend. However, accounting is actually a broad field, and it includes several specialties that involve more than just counting money. When litigation involves an individual’s or company’s finances, a forensic accountant is often called in to help in the case. There are two main areas within forensic accounting: litigation support and investigative accounting. Forensic accountants who work in litigation support typically provide the court with an estimation of costs related to the pending or current legal case. Such costs may include damages resulting from malfeasance or other problems. Investigative accountants gather evidence for criminal prosecutions. They may be called upon to look into matters such as fraud, employee theft, securities fraud and so on. Financial analysis is a broad field that provides job opportunities for many different types of financial analysts, but the basic goal of all analysts is to analyze broader economic conditions and the financial health of a given company or organization in order to make recommendations for cutting costs, increasing profitability, and improving efficiency and effectiveness. Managers call upon financial analysts when they need to make decisions about whether to pursue a proposed course of action. Most financial analysts work for banks, brokerage firms and other providers of financial services, and analysts deal with such things as merger feasibility, initial public offerings of stock and much more. The auditing field is concerned with evaluating accountants and accounting departments to make sure that they are following accepted accounting practices and issuing official statements that are free from misstatements that may be tied to simple errors or outright fraud. Internal auditors work for the company or organization that they are auditing and usually report their findings to the board of directors. 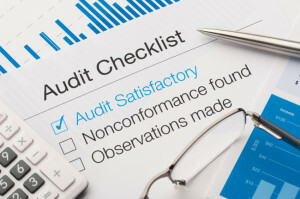 Companies and organizations also hire external auditors to provide an objective, third-party audit that helps reassure the company’s or organization’s constituents that the books are being kept properly. Compliance is related to auditing in that that accountants who specialize in compliance are concerned with established governmental rules and regulations. In the case of compliance, however, the goal is to make sure state and federal regulations are followed and not only standard accounting practices. Compliance accountants keep records in accordance with federal and state law, and the companies for which they work for will call upon them to produce records and reports to demonstrate that said employers are adhering to the governmental standards that govern them. In today’s data-driven world, effective computer systems are a must for collecting and analyzing accounting information. Men and women who specialize in accounting information systems are responsible for programming and maintaining the computer networks and programs that access and analyze accounting data. Those who work in this area may be tasked with such things as ensuring that security firewalls are in place to prevent others from hacking into a company’s accounting system. Many of them also work as system auditors to make sure everything is working as effectively and efficiently as possible. Jobs in this specialty area require education in accounting, business and management information systems. Given the aforementioned accounting specialties, it is clear that jobs in accounting can accommodate many different skills and interests. As technology, the economy and the accounting field continue to develop, there will be new accounting specialties introduced to deal with new challenges. Thus, there will always be high demand for accounting specialists.